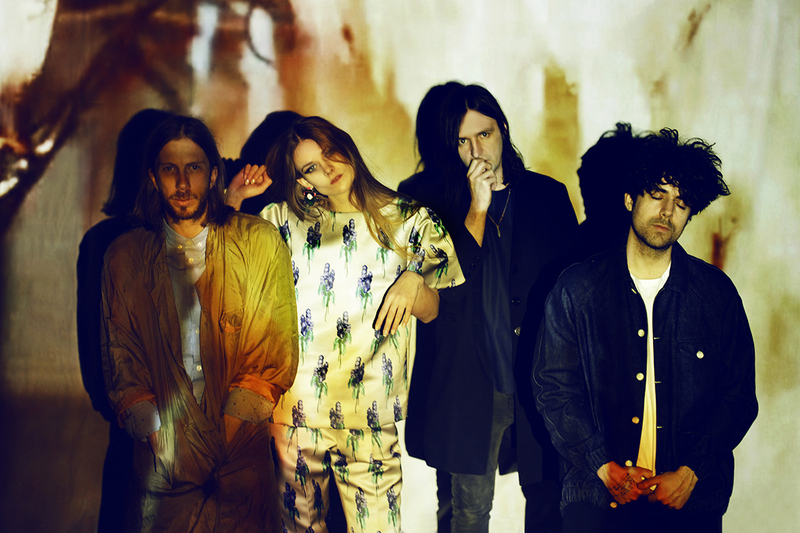 Based in London, Is Tropical is one of the most inspiring electro-pop bands in the world. With “Crawl”, “Dancing Anymore” and many more songs, it is sure that they possess such an inspiring vibe and they don’t hesitate to scatter this beautiful feeling around the places that they have been. I had a chance to have a quick pleasant chat right after the band’s performance happened at Babylon Soundgarden 2016, the festival that was held in Babylon Kilyos with the sponsorship of Doritos. Is it your first festival experience in Turkey? In Istanbul? No, we played at a venue 2 years ago and yes this is our first time we played in a festival in Turkey. How was it on the stage? How was the audience? Great! It was good. We started playing when the sun was still up and everybody was sitting down and chilling and it was getting late, sun was slowly going down and the light could be seen more. The location was amazing. It is so cool. It is your first time in Kilyos? Did you like it? Yes we liked it! We have only been to Istanbul before. And it’s Kirstie’s first time in Turkey! I know that you have released an album called “Black Anything” on March 2016. Everyone said very good things about it. As far as I know and as people say, you have a very unique style, like dark and twisty and cheerful! Complicated. Can we find these things on this album as well? Every song is different but at the same time is tightened with the sonics, the sounds that we have done. And we have been working a lot, we recorded in different countries, lots of different inspirations. Did you started as 4? We started as a 3 people, back in 2010. Then Kirstie joined in the end of 2013 on the second album. You guys really love travelling and touring. Could you describe it in 3 words? Are you guys touring right now? It is festival season. So last night we played in a festival in England and the night before in Venice. Next we go to Madrid and then Milan. Do you have some special time during these performances? For example what are you going to do in Istanbul? I think tomorrow we gonna go and check out another festival nearby. One of our friends from Italy is playing, Sita Abellan. She was in the new Rihanna video! She is a really good techno DJ, she is here for a festival in Kucukciftlik Park. 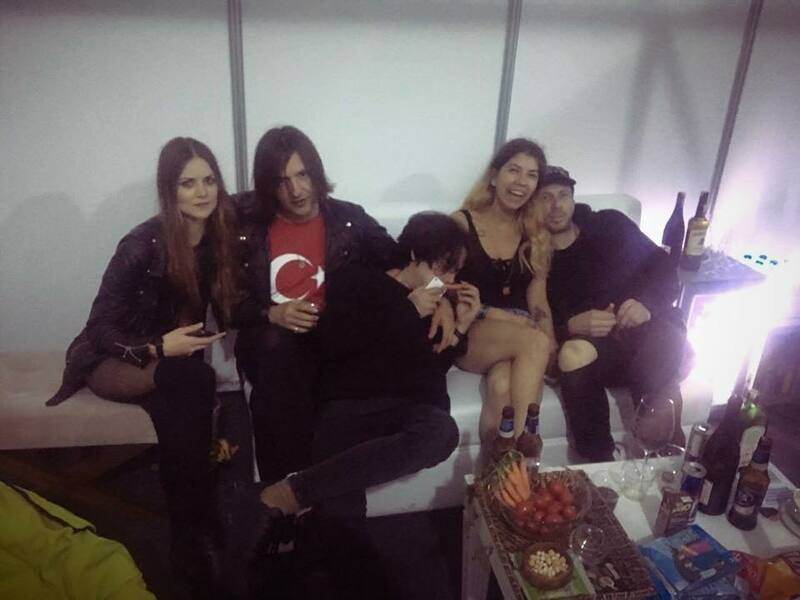 This entry was posted in INTERVIEWS, LIFESTYLE and tagged 2016, babylon, babylon soundgarden, babylon soundgarden 2016, cisetta, electro-pop, festival, interview, is tropical, istanbul, kilyos, london. Bookmark the permalink.